A number of unique organisms live within your body, including bacteria and yeast organisms. These organisms live in harmonious balance, contributing to the natural state of homeostasis (or health) you experience regularly. While this continued balance contributes to a healthy life, any shift in that balance can result in illness or disease. Such is the case with Candida Albicans. What Exactly is Candida Albicans? 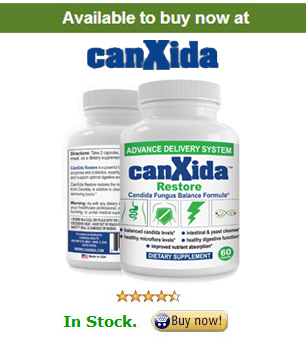 Candida Albicans is a type of yeast, otherwise known as a fungus. This particular organism lives in the human gut, or intestines, and is also commonly found in the mouth. When the body’s normal yeast to bacteria ratio becomes unbalanced, the Candida yeast organism thrives. It grows in number and begins to cause intestinal distress. As it grows, it pushes through the intestines and enters the bloodstream. From there, it starts to spread throughout the body. As the Candida organism spreads through the body, it begins to release toxic byproducts, including a free radical known as acetaldehyde. These byproducts begin to damage your body’s immune system, contributing to symptoms that mimic other conditions. Those with severe cases of Candida often report feeling as though they are drunk because the acetaldehyde is converted to ethanol, or alcohol, by the liver. A common misconception about “yeast” is that this type of infection in limited to the female population. Candida can actually impact the lives of men, women, and children, taking on a number of different forms. While vaginal infections are certainly common, Candida can also cause oral thrush, jock itch, athlete’s foot, some forms of dandruff, and fungal skin infections. While it is true that most of the above conditions are usually treatable with over the counter medications, many people experience reoccurring infections time after time. Infections that won’t clear up (like a vaginal yeast infection or athlete’s foot), or that keep returning, are a sign that the body may be fighting a more severe Candida overgrowth. Candida albicans is often misdiagnosed. Someone who presents with the symptoms of a urinary tract infection, for example, may actually have a Candida infection. The antibiotics used to treat alleged urinary tract infection continue to disrupt the balance between bacteria and yeast, allowing the yeast to thrive even more. The Candida continues to spread, and symptoms persist and worsen. It’s a frightening, vicious cycle. We’ll go over what causes a Candida overgrowth in a lot more detail, but anything that disrupts the body’s natural balance can be a contributing factor. The use of antibiotics in today’s society is a major contributing factor to the number of Candida infections we see regularly. Antibiotics don’t know the difference between “good” bacteria and “bad” bacteria, so they kill all of the bacteria they come into contact with. This is why people who take antibiotics often complain of gastrointestinal difficulties, if not more severe symptoms. As the antibiotics kill all of the bacteria, there is not enough “good” bacteria left to keep the Candida yeast organism under control. Oral contraceptives can contribute to the growth of the Candida organism because they disrupt the balance of estrogen and progesterone in the body. Candida thrives on sugar, so those who eat sweet diets or drink a lot of alcohol often suffer from Candida. Diabetics are especially susceptible. Drugs (prescription and recreational) and stress can also feed the yeast organism. As noted, the Candida organism lives naturally within the body, but it’s only supposed to exist at a certain level. Disrupting the bacteria levels or feeding the Candida organism can cause shifts that the body’s immune system can’t fight. While simple, mild cases are very treatable, the continued exposure to triggers and persistent cases make it harder and harder to fight. In many cases, the symptoms of Candida evolve in a way that makes the underlying condition incredibly difficult to diagnose. Many patients present with flu-like symptoms, brain fog, the symptoms of irritable bowel syndrome, symptoms associated with chronic fatigue, leaky gut syndrome. Candida is not supposed to be in any part of your body other than your intestines and mouth. As it spreads through your bloodstreams, it begins to hide in other areas, particularly around your organs. This leads to a host of other symptoms and complications. Treating a true Candida overgrowth takes time and effort. The protocol includes a very specific diet as well a regime of specific supplements designed to help you kill off the excess Candida albicans in your body while rebuilding your immune system and levels of healthy bacteria. As you browse the pages of this site, you’ll find a lot of in-depth information you can use to determine if you are truly suffering from a Candida overgrowth and to ultimately treat your condition. Please seek the advice of a medical practitioner familiar with Candida if you aren’t sure about your symptoms.